This is a fun puzzle game where you work with the number four. 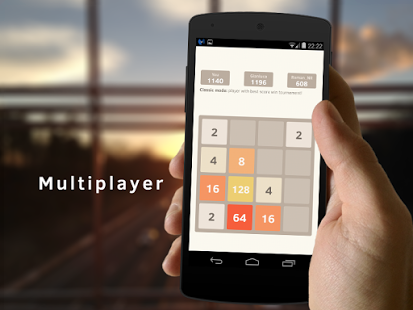 If you like challenging puzzles, then 2048 Number puzzle game is one that will be right up your alley. The game can be quite confusing until you get the hang of what you have to do in order to advance in the game. There are several squares on the board to begin with. You have to move the squares on the board in groups of four. The squares have to be moved from one side of the screen to the other. When you move the squares, you will receive points. You want to get as many points as possible with each move that you make. When you move the first square, another that has a value of two points will appear. Combine the squares so that they will have a larger value. This is how you get the most points in the 2048 Number puzzle game. Take your time in getting to the other side so that you can turn a square of four into one that is worth 32 or more. If you play long enough, then you could have a square that is worth 2,048 points. Jigsaw Puzzles Epic: Jigsaw game with over 4000 beautiful puzzles! A Sequel to the best and juicy game "BLOCK!" Drag and Fill up the hexagram!